Contemplative piece with great depth and organic shapes. Most of the colors are the result of color blending using acrylic mediums. 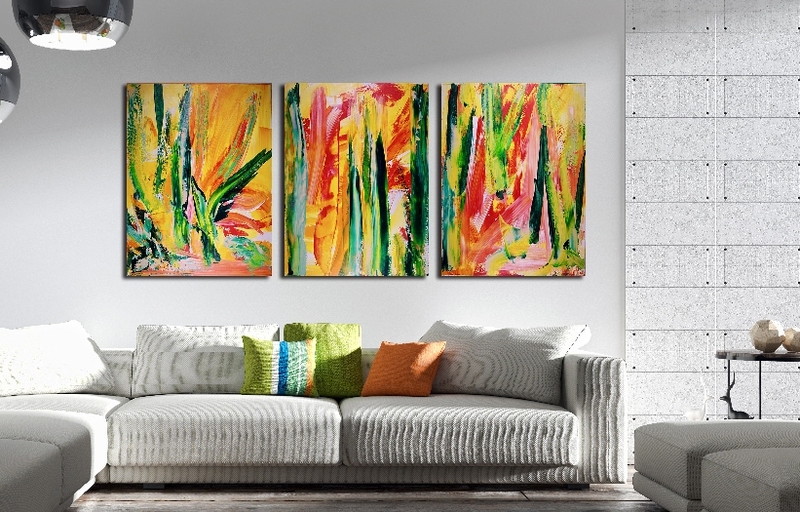 This multi canvas work is truly a statement piece. I had a great time working on this painting!!! This is a multi panel artwork each canvas is 18*24 inches.